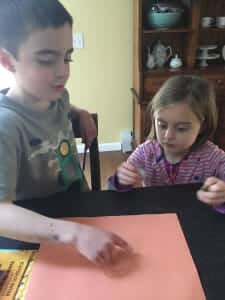 I’m continually awed by the learning that happens when I just relax and let it unfold when I allow my children to learn the way that they were born to learn: through books, play, movement, and hands-on exploration. Take the other day, for example. It was one of those mornings when I had a list of must-dos for myself, must-dos that had been put off for far too long and that needed to be done ASAP. You know the things you cannot ignore any longer. It can be hard to balance all the things. I woke up on this particular day knowing it would be an off-balance sort of day. Thankfully, the night before we had gone to the library and so, that morning, my little poppies’ library bags overfloweth with books begging to be read. I decided to start off the morning doing what I do best: reading to my kids. 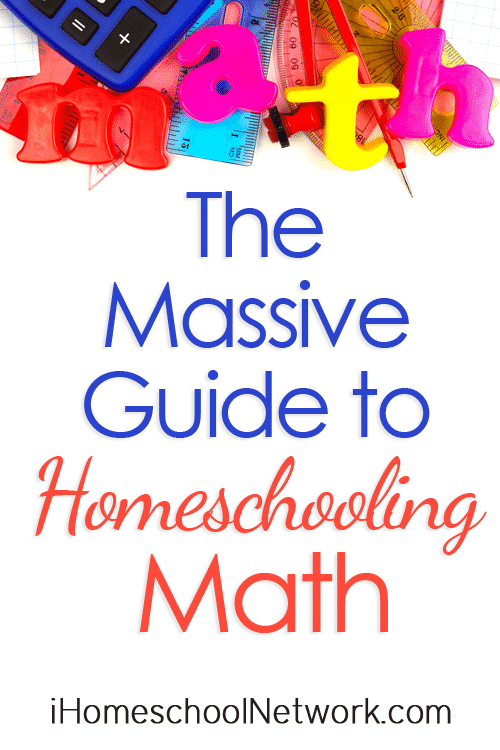 If I started with something that I was good at and knocked a homeschool must-do off the list in the process, perhaps I’d feel prepared- and less guilty- about tackling my own must-dos. And not only did this strategy work, but we all ended up having a really fun day! … they will love the story so much that they will ask you to pause so that they can go grab some magnatiles. They will use those magnatiles to act out the story of a greedy triangle who wants more angles and sides. They will transform one shape into another into another until the book is over. 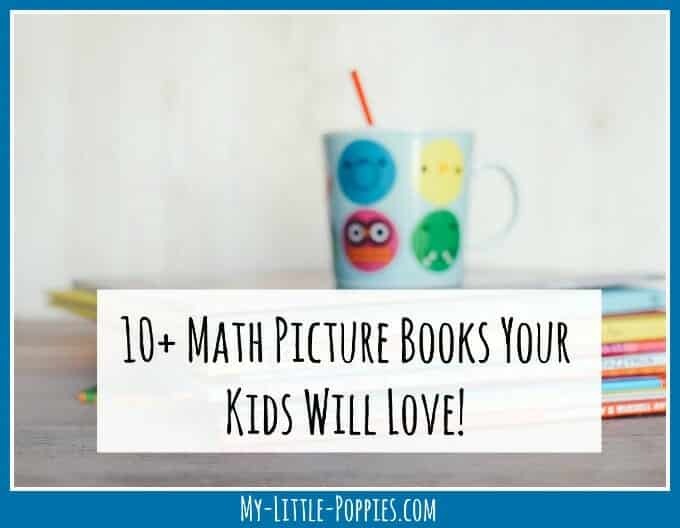 If you read your kids a math book… ([easyazon_link identifier=”1570918929″ locale=”US” tag=”mylitpop-20″]Equal Schmequal[/easyazon_link]), the kids will giggle at bear’s words. 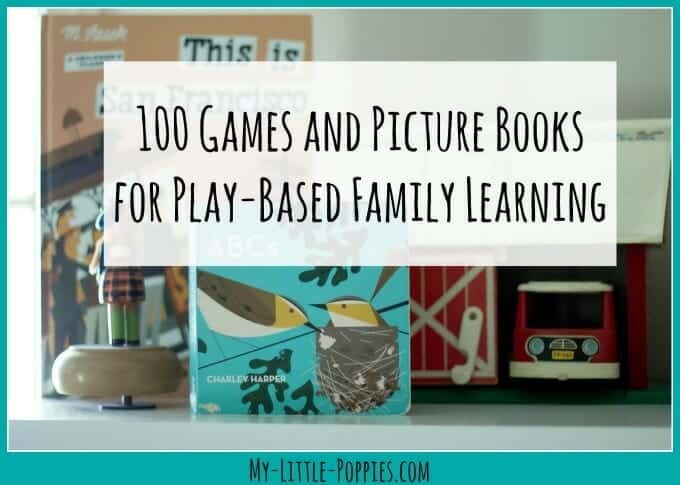 They will ask you to pause the book so that they can grab the play scale and [easyazon_link identifier=”B0006PKZBI” locale=”US” tag=”mylitpop-20″]colored counting bears[/easyazon_link] from the office. As you read, they will reenact the story using the colored bears, pretending that the scale is the seesaw featured in the book. 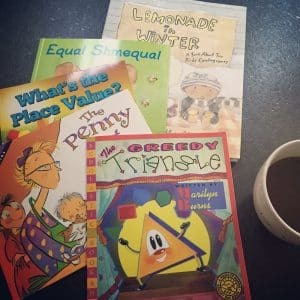 When the book ends, they will have a lively little discussion about the word equal and how its meaning changes depending on whether you are talking about math or fairness and justice. … and so you’ll brew lemon tea and the kids will declare it to be poetry tea time. And you will smile because you realize it’s Tuesday and on Tuesdays you do have teatimes. 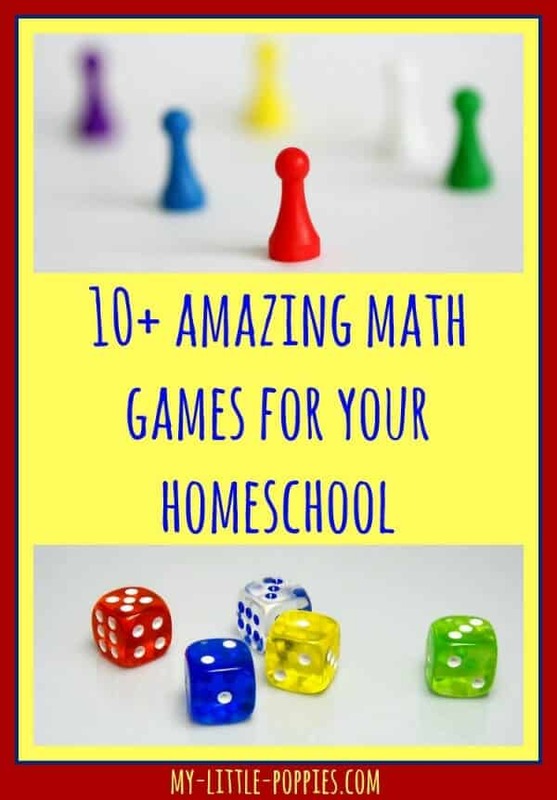 They decide to pause math stories to make space for one of their current obsessions: [easyazon_link identifier=”0803739923″ locale=”US” tag=”mylitpop-20″]Echo Echo: Reverso Poems About Greek Myths[/easyazon_link]. 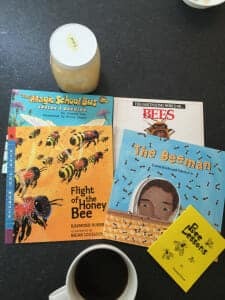 Once poetry tea time is over, your children will ask to read [easyazon_link identifier=”1618102087″ locale=”US” tag=”mylitpop-20″]What’s the Place Value[/easyazon_link] and all that talk of popsicles will give them yet another craving. You don’t have popsicles but you do have lunch and while you prepare it, your children will use popsicle sticks to make another fantastic cobra weave stick bomb. And they even clean up the wreckage! Over lunch, you’ ll read [easyazon_link identifier=”0064467171″ locale=”US” tag=”mylitpop-20″]The Penny Pot[/easyazon_link]and your children will pause the story to take turns counting the coins in the book. 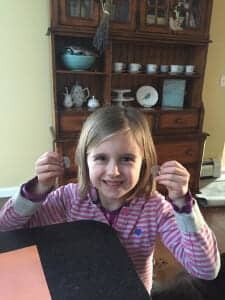 And all that counting coins will result in your daughter saying, wide-eyed, “So this is why skip counting is important! 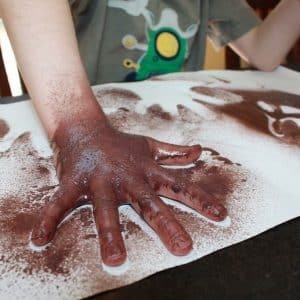 Counting money!” At the same time, your oldest will remark that the face painting in the book reminds him of the ochre hand stencils he made over the weekend with his ancient Australia History Unboxed. The kids will ask if they can use up the rest of the ochre spray after lunch. And you will oblige because it is now the afternoon and your must-dos are still calling. 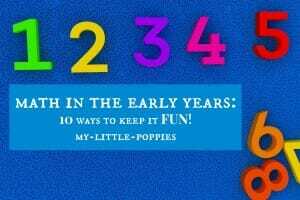 And so, while the children make a happy mess, you’ll begin to tackle those must-dos. But here’s the interesting thing: you don’t feel as guilty as you normally do because you’ve witnessed a lot of learning in short time. And, because you started the day off with something you all love, everyone is happier and kinder to each other. Best of all? You are more efficient. You rock those must-dos. While you are rocking those must-dos, your children have moved on from art to outdoor time with boomerangs. Miraculously, you’ve managed to cover math, reading, poetry, physics, history, art, outdoor time, and play on a day that you woke up feeling overwhelmed by all the things. 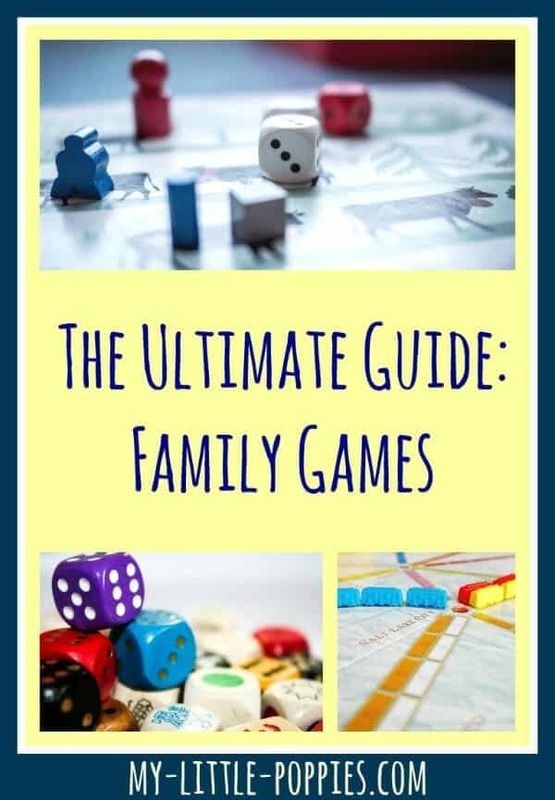 And so, w hen your kids come inside asking if you can read [easyazon_link identifier=”0064467171″ locale=”US” tag=”mylitpop-20″]The Penny Pot[/easyazon_link] just one more time, you agree. You re-read the math book together. 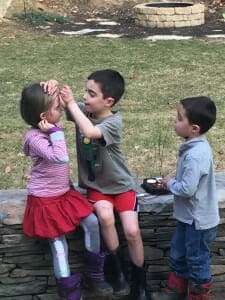 When you are finished, your children ask you if they can use the [easyazon_link identifier=”B01CDS4QE2″ locale=”US” tag=”mylitpop-20″]face paint[/easyazon_link]. They want to act out the book. And even though it’s now almost dinner time and you’ll need to scrub those faces in a couple hours, you say yes because learning happens all the time when you just relax and let it. 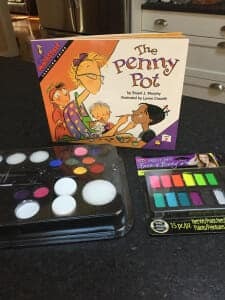 When you give your kids the face paint, they will set up a face painting stand and penny pot, just like in the book. 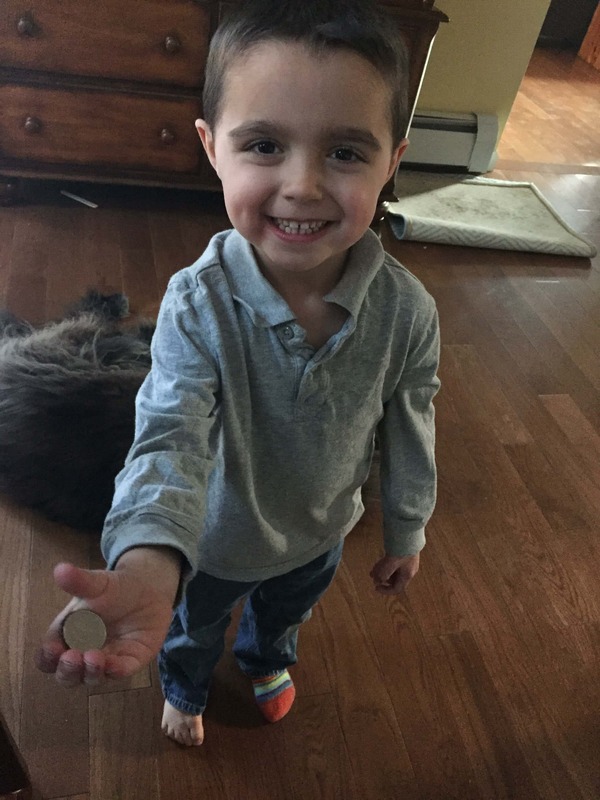 They will go upstairs, to their piggy banks and find three different combinations of coins to make 50 cents, just like in the book. They will come back downstairs and count out their handfuls of coins, just like in the book. And then they will paint faces, outdoors, just like in the book. Before heading outside, there was a wee bit of face paint design planning. And, when you give your kids some face paint, they’ll have a blast. Love these kids! Even that small, filthy, and unclothed one! And then they will come inside and ask to read more math books. And, of course, you’ll say yes and read until dinner. 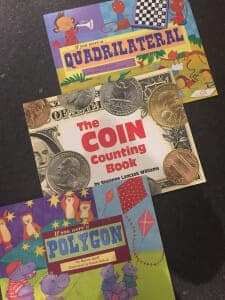 If you read your kids more math books, they will come up to you, just before bed, with a brand-new stack of books for the morning. Because they have collectively decided that they love hexagons. From math to bees because… hexagons! 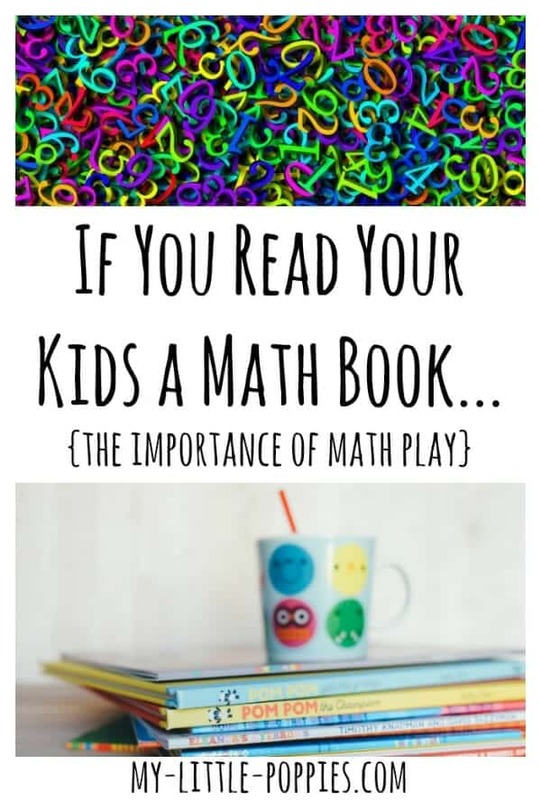 If you read your kids a math book… is a perfect example of how children learn. Children learn through reading and re-reading. They learn through play. They learn through hands-on exploration. 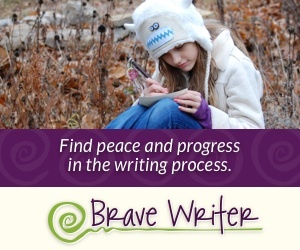 They learn through movement and time spent outdoors, in nature. They learn when they create. It is heartbreaking to me that, all too often, play is cut from our preschool and elementary programs. I woke up on this day feeling completely overwhelmed by my must-dos. I honestly didn’t think I would be able to do both well: must-dos and homeschool. What I forgot was to trust the process and trust my children. Now, it’s your turn. Tell me: When was the last time you relaxed and let learning happen? What adventures did you enjoy? 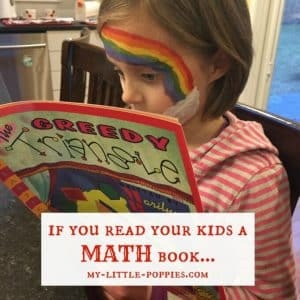 What would happen if you read your kids a math book? Share here! 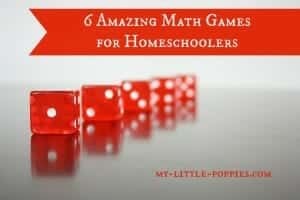 I don’t homeschool but you’ve just given me a whole raft of ideas to try out with the 7yo students I teach. Thank you! Thank you, Felicity. I hope the kids love them- keep me posted! Thank you for this article and book suggestions. 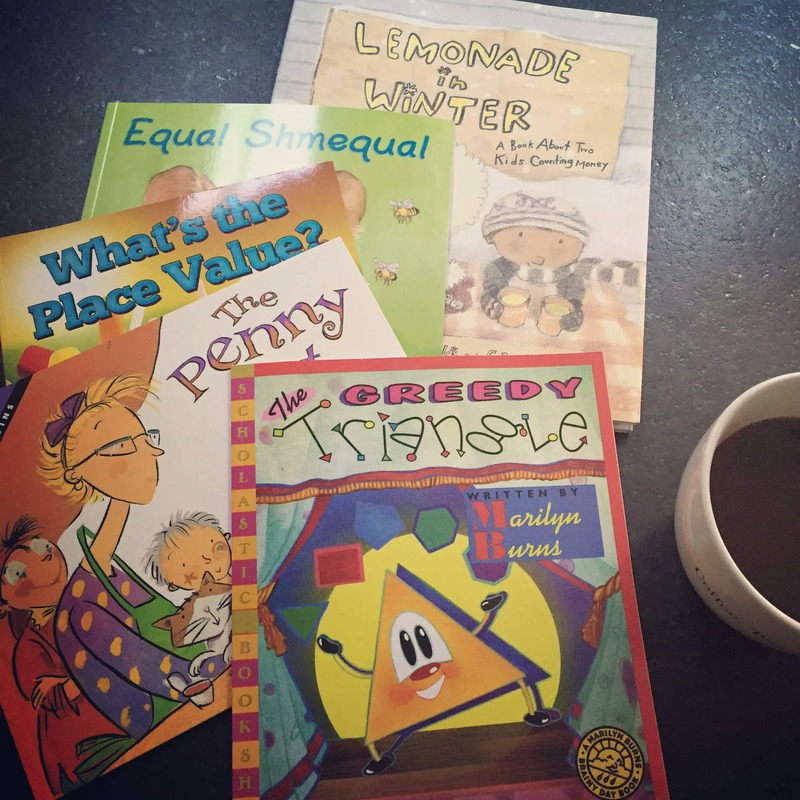 My husband just read Fractions in Disguise and my seven year old LOVED it! Will be down to our library tomorrow to get some more books! I love this post!! So cleverly written. As I read new books with my son I can always think of activities we can do that relate to the book and make the day better. My son has picked up on that and comes up with good ideas, too. 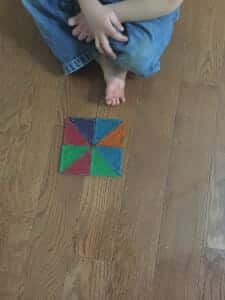 My son is almost five and has a really good sense of number concepts and likes our little math lessons and games so much. I can’t wait to find some of these books to read with him!! I forgot about some of these great titles from when I used to be a teacher. I hope I can find them at our library!! Thanks so much for the prompting! !